What are your plans for your 60th birthday, if you haven’t had it yet? How does running 7 marathons on 7 continents in 7 days appeal, as an idea? Well, that’s exactly what Dr Pushpa Chandra is doing – starting at the end of January, 2018. She’s taking part in the World Marathon Challenge, which starts in Antarctica and moves on to Cape Town, Perth, Lisbon, Cartagena and, finally, Miami. During this intense 7-day period, she will eat and sleep on airplanes and be ready to run a 42.2-kilometre marathon each time she touches down. “Running on 7 continents in 7 days is one of most physically demanding challenges one can face,” says Dr Pushpa, “with marathon fatigue, jet lag, sleep deprivation and the added stress of running in temperatures ranging from +40°C to -​20°C.” And she is no stranger to extreme conditions and the physical challenges they bring. Dr Pushpa has run many gruelling ultramarathons – on Everest, the Gobi Desert, the North Pole and across the Sahara, to name a few. How does she do it? “For the past decade, I’ve been exploring and researching the central role of vital energy in health and performance athletes, and how stress drains our vitality and causes premature aging and chronic health conditions.” In doing that research, Dr Pushpa identified adaptogens as being key to achieving ultimate stamina and motivation. Since humans are inextricably connected to their environment, it makes sense that any changes to that environment (which act as stressors) affect us at all levels. How we respond and adapt to these changes (stressors) is a determining factor in our health and well-being. Dr Pushpa didn’t just do the research. She developed two all-natural products – Awake and Asleep - that work together to provide the body with essential adaptogens that are known to promote energy, strength, vitality, mental clarity and high performance. In many parts of the world, adaptogens are used extensively in high-risk, fast reflex occupations such as athletics, mining and deep sea diving. Now they are also being used to help shift workers adapt to the circadian rhythm disruption they experience as a result of effectively reversing their natural ‘biological clock’ by working at night and sleeping during the daytime. “Common challenges many of us typically face are a lack of energy, lack of focus and not being able to find the right fuel to maximize our performance,” says Dr Pushpa. “Whether it’s for my patients or for myself, the adaptogens in ​Awake and Asleep are my ‘top go-to tools’. I have included an elite class of herbs in these products, which helps the body adapt to biological and psychological stress while promoting homeostasis.” Many of the herbal adaptogens that are included in Awake grow in inhospitable conditions and harsh climates such as high deserts, cold mountains and dry and barren land, which is where they have themselves developed intelligent compounds to overcome their own environmental stressors. Awake and Asleep are an essential part of Dr Pushpa’s daily training regime. With their powerful adaptogens they don’t just to help provide energy and the mental clarity required for the challenging schedule of the World Marathon Challenge and the disruption to her sleep/wake cycles. Such intense activity, where you push yourself to your limits over 7 days, is only possible if the physical exertion is balanced by restorative sleep. Asleep ensures that the sleep she does manage to get is good quality, so she it truly prepared for the next day’s marathon without risking her health. Professional athletes know that there is 1.7 times the risk of getting injured f they have less than 8 hours’ sleep at night. 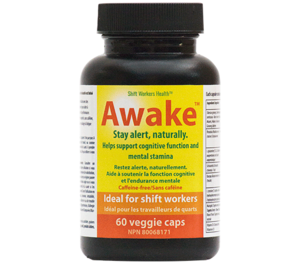 ​With their powerful adaptogens, Awake and Asleep are an essential part of Dr Pushpa’s training regime. Dr Pushpa developed Awake and Asleep for anyone who wants to regain energy, feel more alert, sharpen their mental clarity and get good restorative sleep, so they can perform better and feel more alive on a sustainable basis. “They are not just for high performance athletes. My running serves to demonstrate how effective my formulations and the adaptogens included in them are,” she says. “Anyone who has stress in their life, lacks energy or finds it difficult to sleep through the night can benefit from Awake and Asleep.” Since their launch in 2016, Awake and Asleep have helped people in high-stress jobs, shift workers, actors, people whose work takes them regularly across timezones and many more, to reduce stress, gain energy and improve performance. For Dr Pushpa, running marathons is not just for her own personal satisfaction. She is a long-time supporter of Plan International and she is using the World Marathon Challenge also to support and raise $30,000 for their Schools on Wheels initiative. She wants to achieve ‘60 by 60’ on this run: 60 disadvantaged children in Mumbai, India, placed into school on her 60th year. The School on Wheels project aims to improve the quality of education for underprivileged children. The key element for the project's success is a bus designed as a mobile class room to provide alternative educational facilities to street children up to the age of 14. Education is one of the most powerful tools in breaking the cycle of poverty. Providing this vulnerable group of children with access to education is an integral step in helping them realize their full potential. So, what ever you are planning to do for your 60th birthday, Awake and Asleep could help you achieve it. Otherwise, whatever pressures you have in your life, these doctor-formulated all-natural products containing clinically proven ingredients can bring you healthy energy and sublime rest.